More than 120 people are reporting gastrointestinal symptoms after attending events at Michigan State University’s Kellogg Center last week. 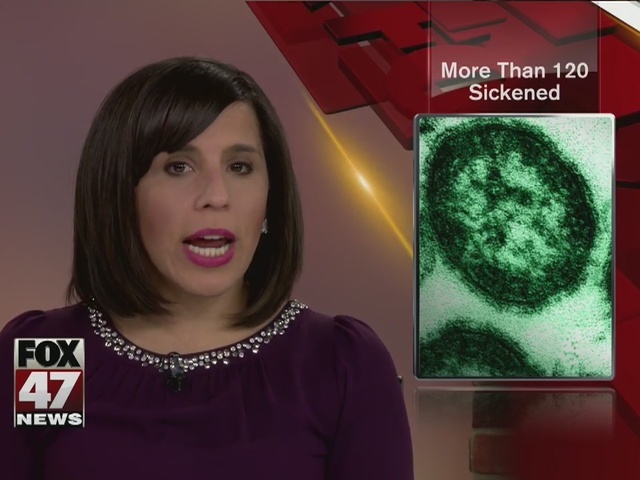 The Ingham County Health Department is investigating the outbreak and expects the number of confirmed ill to increase as additional people report. The investigation originally centered on an event that took place on February 18, but has expanded to include all events that took place in the Kellogg Center between Tuesday, February 16 and Sunday, February 21. Those who were at the Kellogg Center during that time, whether or not they were ill, are asked to please take an online survey to help with the investigation. The survey can be found at https://www.surveymonkey.com/r/D92YBTJ . A link to the survey is also on the health department’s website. Those who are unable to take an online survey may leave a message at (517) 887-4312. The Kellogg Center voluntarily suspended food service operations on February 22 and 23. The facility was fully cleaned at that time and reopened on February 24. No new illnesses outside the investigation period have been reported. The cause remains unknown, but samples have been delivered to the Michigan Department of Health and Human Services for testing.